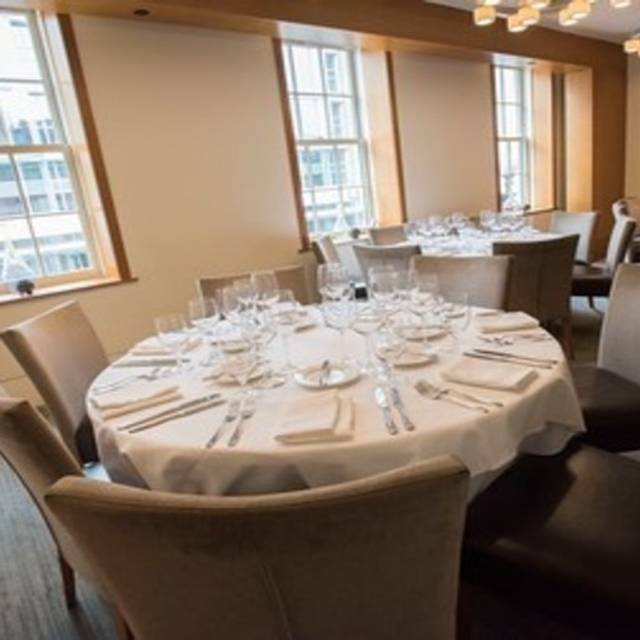 Dinner: Monday through Saturday: 5:30pm - 10:30pm; Corduroy is available for private dining and receptions during the day and on Sundays. Valet parking available Saturday only. Corduroy serves the best of the season with much of the restaurants produce coming from local farms. Corduroy is not handicapped accessible due to the historic nature of our building. Corduroy was a wonderful experience. We were greeted as soon as we walked into the restaurant. Once at our table, our server introduces himself and offered water and the drink menu. We were not rushed at any time during our meal. The server offered a complete description of specials as well as his personal choices. We had an amazing dinner! Superb service by Michael. Delicious food ( I had tuna tartare great value. Good spacing between tables this allowed for easy & private conversation. 75% of the meal was delicious and we enjoyed it muchly. Then came the bad fish with the smell even the waiter acknowledged was bad when he picked it up from the table. I quickly pivoted to the tuna tartare so that my husband wouldn't be eating along. Normally in a situation like this, they would have made some accommodation on the bill. Nothing was offered and I was not going to ask. We just won't go back. It's unfortunate because we have loved it for the past 10 or so years. As always, Corduroy delivers. Excellent service, the best Sazeracs outside of New Orleans, delicious meals. While the menu is small, the chefs specials are always plentiful - sign of a kitchen that is always fresh. Don't hesitate, just go. I don't know why this eatery is not high up on the city's best restaurant lists. For starters, the room is warm, comfortable and supports conversation without raised voices. The service is superb as were the quail and tuna tartare appetizers and especially the first of the season soft shell crabs. My one qualm: the martinis could be more generous and the ice slick on its surface promised by the waiter never materialized. I plan to go back next week. 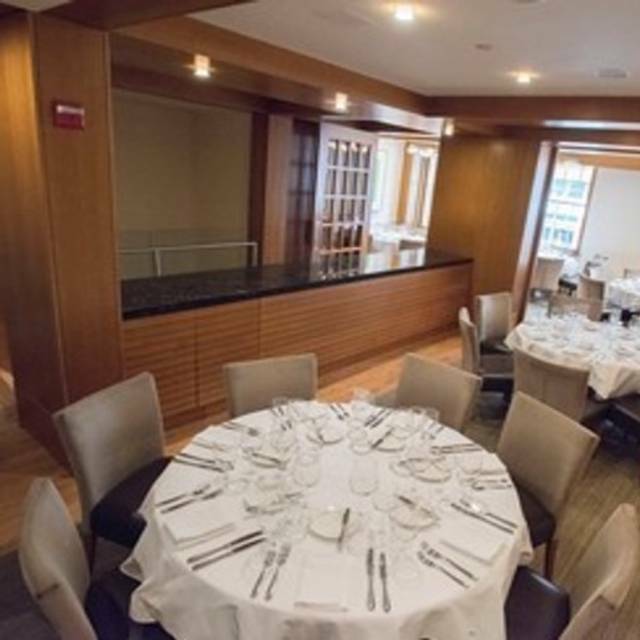 This is an attractive restaurant that is close to the convention center and the Marriott Marquis that is an excellent choice for a quiet dinner. Everything is excellent - the food, the ambiance and the service. Great food. Attentive service. Amazing wine list and sommelier. Wonderful evening out. Food was delicious. Lovely presentation and good portions. FABULOUS!!! This place deserves a Michelin Star for sure! Chef Power gets my vote for best Chef around. His simple but elegant preparations are always excellent. It’s a beautiful restaurant and not too noisy. At our recent visit the Valet had a personal problem. The restaurant needs a back up as there are few parking lots and they are not very near. Also, there was a problem in the kitchen which kept us waiting for 45 minutes. An apology from our server came rather late. It seems there should of been given a complimentary appetizer or dessert. Didn’t happen. I must say the dinner was worth the wait. Wonderful experience! Attentive staff & deliciously creative food! This was our first time at Corduroy and we hope to return next time we are in DC. As I reported last month, and nothing has slipped, the food is outstanding. But this time the service was noticeably sub-par. In one meal alone, for three, soup was served without a spoon and I had to go find a waiter to get spoons (the soup cooled meanwhile); I asked for the sauce on the side for the chicken, but it came with the chicken; a salad of rugola, radishes and pistachios was order with no radishes but extra pistachios, and it came with no radishes or pistachios (again, we had the find the waiter); and two of the three main dishes were served to the wrong people. Why this occurred I do not know. Nice presentation of well prepared flavorful food Thoroughly enjoyed my entire meal. The service was impeccable! Fabulous meal with great service. We ordered the tasting menu with wine pairings. I love that we don't know what the menu will be-whatever chef decides. The wine pairings were very generous and really great. We can't wait to go back! I loved that is was quiet enough to have a conversation. A really great experience. The food was good, but the service was slow even though the restaurant was not crowded. Food was terrific. Service fabulous. Ambiance lovely. Had heard wonderful things from friends and I'm sold! Always a celebration. 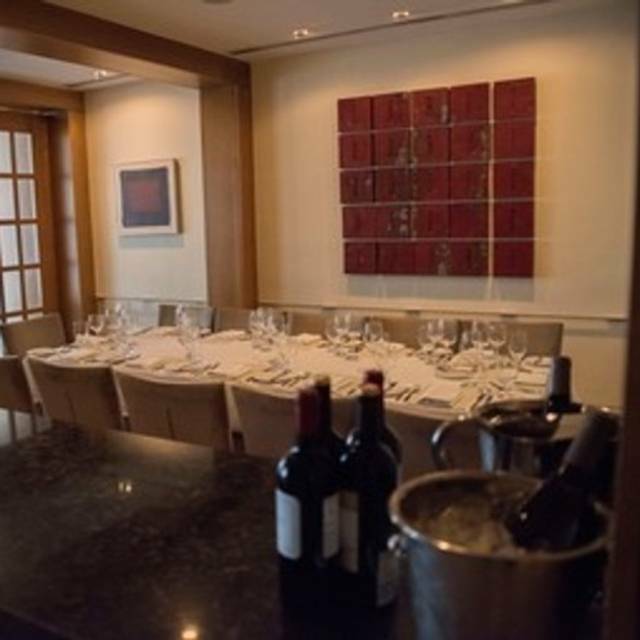 If you want the feel you are going to a delightful five course dining experience at an elegant home in DC, then head to Corduroy’s. We ordered the chefs menu for the part of four. There was an hour delay between our 2nd and 3rd course. An explanation was said that the kitchen couldn’t handle the orders for a slow Thursday night. The server ghosted is most of the night and the manager was mostly present to take care of our table. It was really disappointing to have zero explanation of the menu or what was to be served. One of our guest is on a non-fish diet and the there was terrible communication on alternatives. It was like the stag forgot our table existed. The food was delicious but service was awful. The wine list was inclusive with fair by the glass and bottle pricing and were well curated, by the chef, with his menu. We enjoyed the quail and red snapper soup starters followed by the black bass preparation. Sauces sopped up by the crusty bread were delightful. We made room to share the tart tatin and were not disappointed. The flavors were enhanced by the achieved caramelized crust and creamy ice cream. 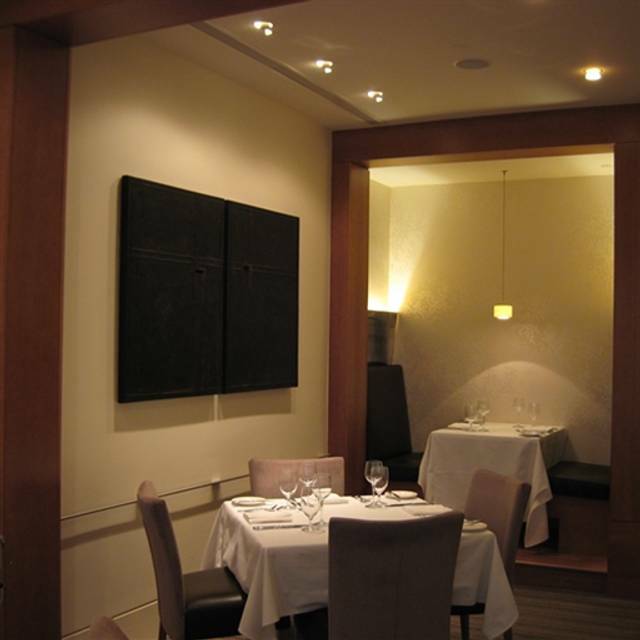 Consistently excellent food with very good service and comfortable ambience in a set of small dining rooms. Surprised that no there is no valet parking available on a street where there is little street parking. The sign in front of the restaurant is small and easy to miss, but it is well worth the stop. The food was a little slow to be served but the quality was outstanding. Decor and ambiance were lovely. I will definitely be returning to Corduroy. the food was exquisite the service was attentive but not pushy. the place is beautiful and buttoned up but not stuffy at all. it was really a great start to an amazing evening. we will definitely be back. We had a late reservation. It was not very busy but for some reason it took a long time to get our enteees. Service was great and food was delicious. The ambiance was less than romantic which was what we were looking for and what it was listed as in my search. Most likely an once and done experience for us. Corduroy is our special-occasion restaurant. Everything about it is outstanding. 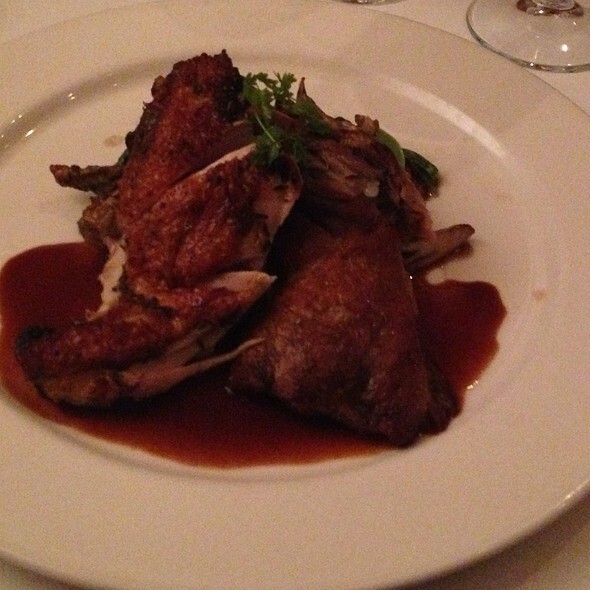 The food is consistently made of the finest ingredients and beautifully and simply prepared. The servers are friendly and well-informed. We especially love being seated in a small booth. Sitting there allows us to hear one another and feel like it's just the two of us celebrating. Never disappointed here. Quiet, excellent food, never hard to find a street pkg spot vs paying for a lot. Lamb and creamed spinach amazing. Still remember the venison and pureed chestnut I had there years ago. Very disappointing meal this last weekend. I am convinced that they simply forgot we were there. Our cocktails took 25-minutes to come to the table. Add another 15 minutes for our orders to be taken, and another 1/2 hour for the bottle of wine to be delivered. We finally got served our mean at the 2 hour mark. All of this after we had requested a rush as we had other plans after dinner. As far as the food, it was ok at best. The salmon appetizer was inedible, with nothing else to be excited about. We had been before and found it a nice place when you are in that area, but I would have difficulty ever going back. We have been coming here once or twice a year for many, many years. Never disappointed in a single sip or bite. Well received when entering the restaurant , great out of the way bar to sit and relax prior to dinner, the waiters had a high degree of knowledge from food to drinks and locations from where. Congratulations to chef-owner Tom Power for his long dedication to his kitchen. In an age when chefs have megalomanic ambitions of expansion, writing cookbooks, etc., it is a pleasure to enjoy the serious cooking of someone who not simply concentrates on his long-established restaurant, but whose name does not even appear on the restaurant's website! Everything here is top rate, from the quiet (what a rarity in D.C.!) and handsome ambience, to the excellent food. The menu is limited, more than in most restaurants, but to judge from our orders of red snapper bisque, a salad, tuna, and chicken roasted and confit, what is offered is made with love. The wine list is much longer and reasonably priced. Bravo Tom Power. Everything was perfectly delicious, but especially the lobster carpaccio! 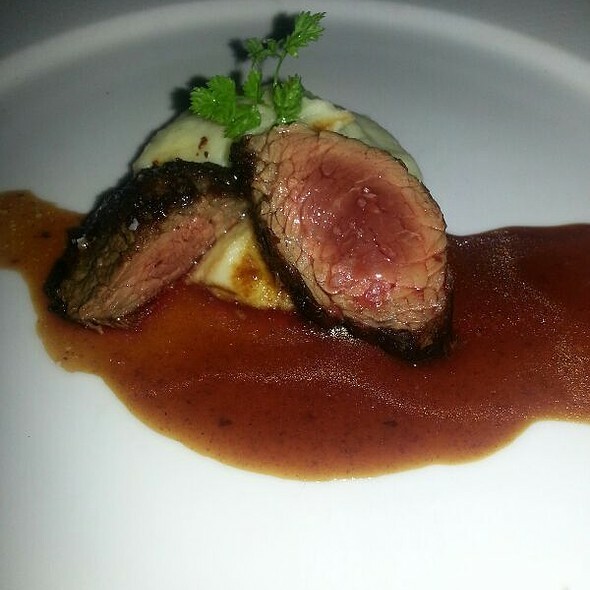 My friend thought the wagyu beef was outstanding. This is a grown up restaurant. The menu is small enough to be understood but the variety is amazing. The food and service were absolutely first class. Loved my evening at corduroy. 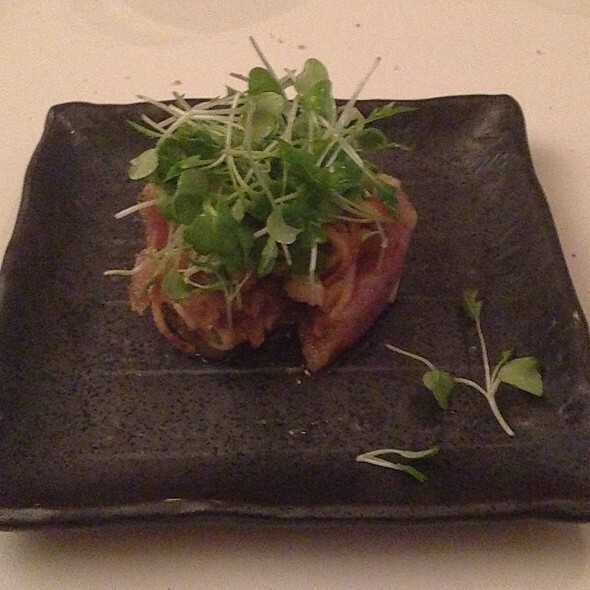 We were delighted by the inventiveness and taste of the prix fixe tasting menu. Our waiter was deservedly enthusiastic about the food, and the presentation was excellent. I can't recall the last time I had prime rib that good. I would gladly go back to Corduroy for a delicious, extravagant meal that is not extravagantly priced.